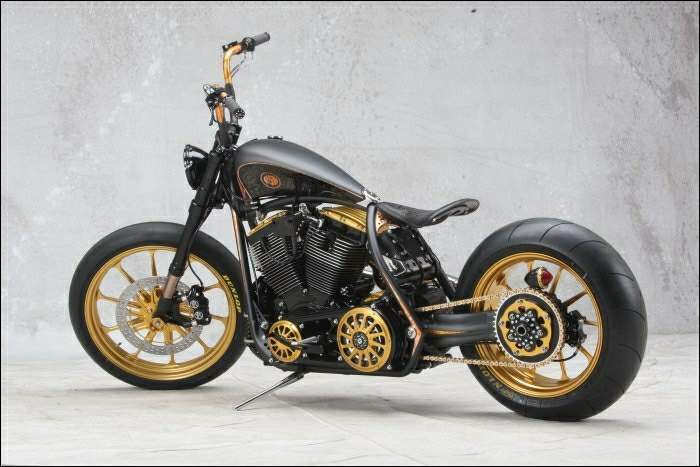 This wonderful creation of the Roland Sands Design, suggestively named "Black Beauty" won second place at this year's edition of the FIFA World Custom Bike Building AMD Harley-Davidson motorcycles modified class. 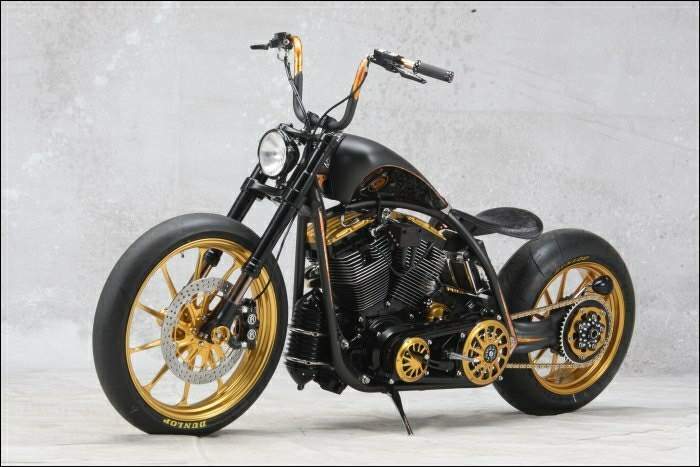 Roland Sands built on a 2003 Harley-Davidson Softail what they can do any custom passionate in their garage, most of the necessary parts can be bought from trade. 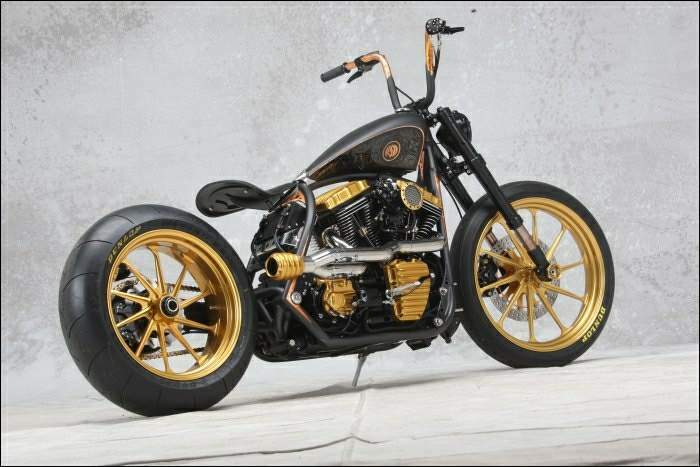 In addition to changes to the framework, the remaining components are available in a catalog Roland Sands (fuel tank, oil tank, engine undertakings, stop back, stairs, exhaust system), to that of Kuryakyn (cylinders, cylinder heads, pistons, valves , overhead camshafts), and from Performance Machine (primary distribution, brakes, controls, wheels Assault of 21 and 18 inches). For a perfect functionality, Roland Sands Design has provided the model "Black Beauty" with a progressive monoamortizor back and front fork of a Suzuki GSX-R!